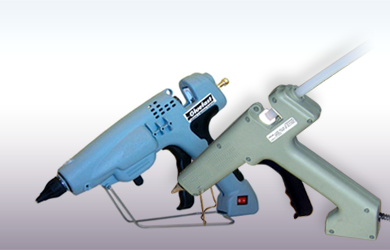 PAT is totally self-contained, complete with stainless-steel tank, pressure gauge and regulator, handgrips, rubber hose and safety relief valve. 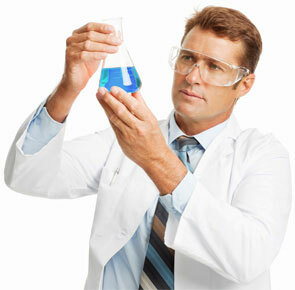 PAT is simple to use and easy to handle. 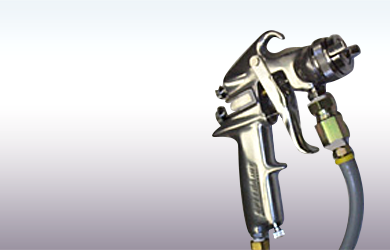 Just fill the tank with water-based glue or adhesive and air (10-90 psi) and you’re ready to dispense adhesive with the controlled amounts you desire. 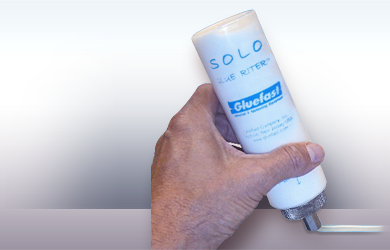 Interchangeable glue heads are available to spread the adhesive up to 3” wide. 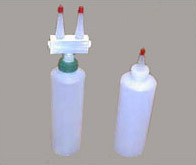 Special heads are also available for dispensing a single dot or line of adhesive for woodworking. 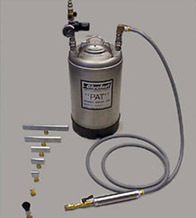 Optional glue-control needle valve recommended when PAT is not connected to an air supply. 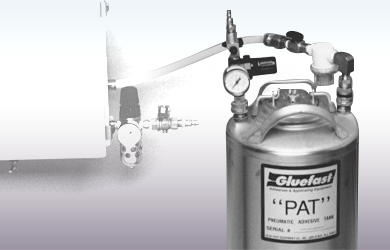 Contact a Gluefast representative at 800-242-7318 or email us to determine if the PAT adhesive applicator or any of Gluefast's adhesive applicators and dispensing equipment are the optimum piece of equipment for your adhesive system.